I spent last weekend at the Hilton St George’s Park hotel near Burton on Trent. 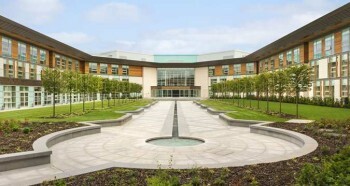 The location is better known as the National Football Centre and it is a good hotel – it was designed to be used by the England football team when they are training there and the facilities and catering are very good. Whilst we paid cash for this stay, it made me consider whether the Clubcard / Hilton deal is any good. You can find details on the Tesco Clubcard website here. You must book a bed and breakfast rate, which will be priced at the ‘best flexible’ rate (ie the cancellable rate). You will not be getting 300% of face value if you compare the Tesco rate to a non-refundable rate at the same hotel. You must book at least 14 days in advance. You can usually book ANY category of room, even suites. You must call Hilton to book. Once booked, you need to post your vouchers to Hilton and then wait for them to post you a redemption voucher back. Tesco tell you that you need to ring Hilton to book. If you look at the reviews online, you’ll find it is a painful process finding hotels with availability. Instead, go to the hilton.com website. Add the promotional code PR20TC to your search. This will bring up all of the Tesco rooms, if available. You can then either a) ring Hilton and book the same room you saw online or b) be cheeky and book it online, and then post off your Clubcard vouchers to Hilton for the voucher. The Tesco / Hilton Clubcard page contains a PDF form you must print off and complete. This is what you would expect given the rules I laid out above. You ARE getting a genuine ‘3 x face value’ compared to the cancellable B&B rate. However, you are getting a bit less than that if you compared it to the non-refundable B&B rate. Even in that scenario, though, I consider it a decent redemption.